India, China and Pakistan are nuclear powers, all. Between our three countries, lives half of humanity. The poorest half of humanity. At one time the richest half of humanity. Our three countries are blessed with adequate natural resources – and between us three, we will hardly need anyone else in the world. The rest of the world cannot say that about itself – or for us. Remember, the world still ‘orients’ itself. Between us we are three, of the seven nuclear powers of the world. Between our three countries, we have a foreign exchange currency reserve of more than US$2.5 trillion – equal to the one third the global forex reserves. 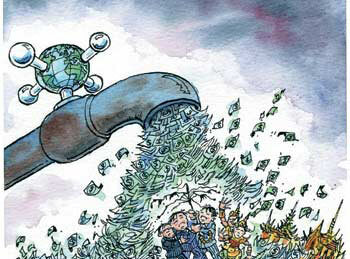 Each year, we subsidize the West to the tune of US$250 billion in currency depreciation. 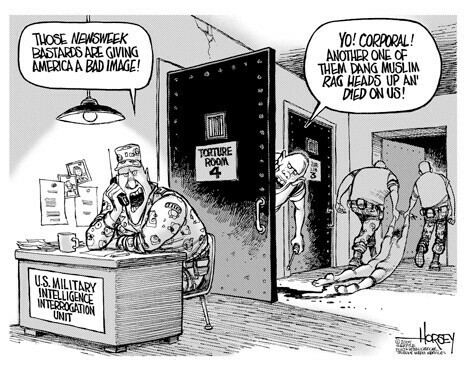 It is this subsidy that enables the West to continue exploiting us. Between our three countries, we have one third of the world’s old reserves. They deserve peace, security, progress. We have 5000 years of history to show that we can do it. We have done it many times before. We can do it again. That is all our poorest ask and need. History shows that our three countries have accounted for 50%-65% of the world’s economic output. In my mind these are conservative figures. I am sure that if our three countries can work together, like they have in the past, we will be able to account for more than 50% of the world’s economic output. History shows that when we three live in peace, there is peace in the world. When there is war, in our countries, the whole world is at war. Peace in our countries will usher peace in the world. The past is extracting a ransom that we cannot afford to pay. Let us recognize our past for what it is – empty ballast that is dragging us down. Having achieved nothing on this front for the last 60 years, why do we wish to continue down that path? We need to see that going downhill is always easier than climbing the Himalayas. Vietnam suffered from a prolonged war (1956-1976) – and finally peace had a chance after 20 years of war. Korea remains divided. The Cyprus problem between Turkey, Greece and the Cypriots has been simmering for nearly 100 years. The role of the Anglo Saxon Bloc, in Indonesia, the overthrow of Sukarno, installation of Suharto and finally the secession of East Timor is another excellent example. The Israeli-Palestinian conflict (1935 onwards) will soon enter its 75th year. The entire Arab-Israeli-Palestinian conflict is a creation of the Anglo-French-American axis. The many other issues in the West Asia and Africa are living testimony of the Western gift to the modern world. Let us decide that for the next 60 years, these legacy border issues will remain in cold storage! There are far more pressing issues that need our attention. Let us focus on those issues. We have a lot of catching up to do. “A Sunday Herald investigation has discovered that late on Thursday night, a previously unknown Indian hacker successfully breached the IT defences of the Best Western Hotel group’s online booking system and sold details of how to access it through an underground network operated by the Russian mafia.” reported The Sunday Herald from Scotland. India’s premier business newspaper The Economic Times featured this story prominently in their print edition. The Times of India, which says it the largest English newspaper, dutifully carried this IANS report. The challenger to Times Of India, DNA also carried this report. Looking at these reports just a little deeper, and the source of all these reports is a IANS (India Abroad News Service) report. Indian bloggers went to town with this story. Piyush Sood wrote about this story. As did, Battakiran. Washington Post had nothing to say on this. Similarly, a search on New York Times site turned up empty. All quiet on the The Wall Street Journal site. A search using Google.com turned up many Indian newspapers with this news report. Hot Hardware site did question this report with some balance. Another blogger, Limau Orange, was another who questioned this report. Not one Indian newspaper, published (later or then) any questions or rebuttal of this pathetic story. What got me wondering was the motivation of this story? How did this story land up in IANS agency? Where did the ‘original’ writer, Mons. Iain S Bruce, get to know that an Indian was behind this ‘heist.’ Who was behind this ‘leak’ to Bro.Iain S Bruce? What are the ‘sources’ of Shri Iain S Bruce? In the meantime, I believe that this was a dry run – of some some stupid theory! Which got proved. Shame on you, Indian media. In America, the bison in the wild has been wiped out. The South American caiman was nearly wiped out. Cougar, or otherwise called the Jaguar, is a rarity. There are no other big cats in the Americas. By the time of Julius Caesar, lions, tigers and elephants had become extinct in Rome, Greece, France. But India is different. Apart from the Big 5, numerous other interesting wild animals yet live in India. Pythons, deer, bears, bison, eagles and vultures still have significant presence – unlike in the rest of world, Africa excepting. The two popular theories trotted out by Western theoreticians is that all these were extinction-prone species or loss of habitat to human beings. India disproves both these theories. Especially, once you take Indian population density into account. India becomes a unique country with in terms of wildlife conservation. Big Game hunters in Africa (from the West, where else) described 5 animals as the Big 5 – elephants, lion, buffalo, leopard and the rhino as the Big Five. These were animals that were difficult to hunt and kill (for pleasure, in case you thought otherwise). Lions killed camels of Xerxes’ army during his campaign against Macedonia. Many European kingdoms used the lion motif on their coins. Lions disappeared from Western Europe around the time of Julius Caeser – and in Eastern Europe by 100 AD. The last lion of modern Pakistan, died in 1842 (of course, before the concept of Pakistan was even born). Wild Asiatic lions, once roamed over forests – from India to Western Europe, were wiped out by indiscriminate hunting. The Asiatic lion was exterminated from the Mediterranean in the 13th century, Turkey in the beginning of 19th century, Syria in the beginning of 20th century; Iraq in the First World War and Iran during the Second World War. (from Gir Forest And The Saga Of The Asiatic Lion By Sudipta Mitra). The last place on Earth where wild Asiatic lions have refuge is the Gir forest in Gujarat – in India. India still offers the best hope for the tigers’ future because it has the most tigers and a conservation infrastructure. In 1973, the Indian government initiated Project Tiger, designating protected areas and wildlife corridors. This led to a dramatic recovery – their numbers nearly tripled by the 1990s. But that commitment faltered, and the population collapsed again. 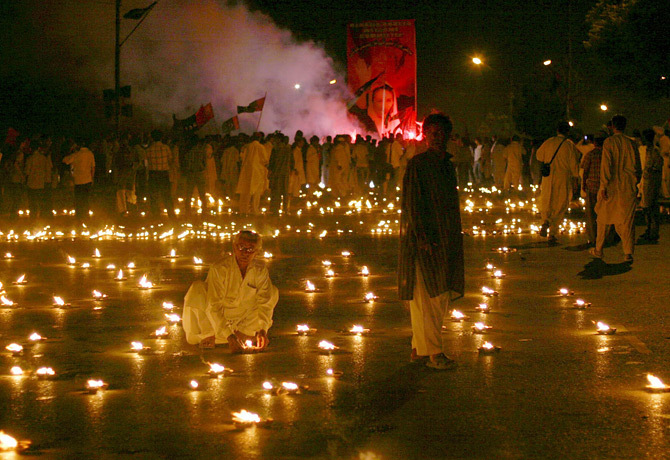 (from Tiger, tiger, burning out, report by Vinod Thomas, in Los Angeles Times, dated September 27, 2007). The big drop in tiger population in India was due to poaching. Poaching due to demand from China – in Chinese medicine. The Chinese think there are no alternatives – and that tiger parts can cure them from various diseases. To meet this demand, China wants to reopen tiger-parts trade. Will they legalize this trade after the tiger farms stabilize or clamp down on the trade after the tigers become extinct? Elephants once roamed across China, the Mediterranean, the whole of West Asia and Africa. By 850 BC, West Asian elephants were extinct. By 300 BC, elephants in China had become rare. India has the largest elephant population – outside Africa. An Indian deity, Ganesha, is half man and half elephant. Airavata, the mount of Indra (and Lakshmi) is considered auspicious all over Indic Asia – and was a gift to the gods during churning of the Ksheersagar (The Milky Sea) for nectar. Indus Valley seals of 4000 years show domesticated elephants. India was the first country – and also the longest to use elephants in peace and war. 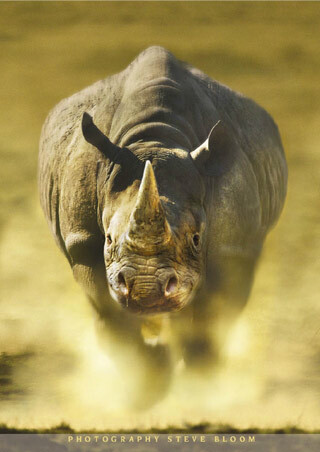 Again, outside, Africa, India has the largest Rhino population in the world. The biggest threat to rhinos in India is the use of rhino horn in Chinese concoctions to cure impotence and increase libido. Interestingly, the rhino finds scant mention in Indian mythology and ancient literature. At best, there are only folk tales about rhinos. Once upon a time, Lord Krishna decided to use the rhino for battle and prohibited the use of elephants as he found that mahouts sitting atop “Haathi” were easy targets for enemy archers. Thus, a rhino was commandeered, dressed in armour and made ready for military service. But when the “Unicorn” was brought before Lord Krishna, he found that the animal was too stupid to learn and obey orders, so it was driven back to the forest – with its protective covering still on it. And that is why to this day, the rhino still have armour plating on them! The distant cousin of the African Buffalo is the Indian Buffalo – and its cousin is the Indian bison or the Gaur. In Indian mythology, buffalo is the mount for Yamaraj – the God of Dharma (and Death). Less than 4000 remain in the wild. It is suspected that these ‘wild’ Indian buffalo may actually have bred with the domesticated buffalo. Outside Africa, India has the largest leopard population of 14,000. The world population of leopards is estimated at 100,000. India has 80% of the Asian leopard population. Easily, the most successful of the big cats, the leopard has managed to proliferate. Spread all over India, many states in India have individual populations of more than 1000 each. The one tragedy in India is the cheetah. There are no sightings of the cheetah in India for the past many decades. Iran has the last 200 or so of the Asian Cheetah. Africa has cheetahs in the thousands. India has managed a structured method of familiarizing the general population with the most dangerous animals. For instance, there are festivals where thousands of the King Cobra snakes are handled by common people. Thus fear is reduced – and secure human beings are more likely to live and let live. On 2nd August, 2008, was ‘gataari’ amavasya as per Indian calendar. The next day was the start of the month of Shraavan. For the next one month, meat eating, traditional Hindus, avoid meat. Most see it as a religious practice. But the interesting aspect is that this co-incides with the monsoons, which triggers the mating season for many animals. Five days into Shraavan, is Nagapanchami. In some parts of India, elaborate fairs are arranged where snake charmers bring thousands of snakes – and people familiarize themselves with snakes. Apart from Hindu, Buddhist and Jain texts in India, Indian teachers spread the path of ahimsa across Asia. Mahabharata has interesting insight on man-nature conflict. The Pandavas, having secured a favorable award from Dhritarashtra, in their inheritance dispute, decided to set up a new capital. The divine Asura architect, Mayasura, was retained to build this city. The site chosen for the new capital city – a forest, Khandava. India, in 1970s, still had a waiting period for Bajaj Scooters. Maruti cars had not been introduced. The Oil shock had hit India badly. Bombay High was yet to start production. Colour TV sets were not known and colour TV transmission started a few years later. TV transmission and content a public sector monopoly. Computers in India were rare and far in between – and IBM controlled the industry. Private sector, as we knew it was non-existent. Licenses were required for everything. Foreign exchange situation was precarious. Hence, for a poor country to launch the Project Tiger was unprecedented. In October 1998, nearly eight Indian film stars were accused of poaching. This entire prosecution incident was initiated by the Bishnoi community. The Bishnois have a long tradition of conservation activity. The Bishnois were at the forefront similarly in the prosecution of Mansur Ali Khan Pataudi, accused of poaching. It is this respect for life that is the secret behind India’s success with wild life. But India, the West feels, needs some lessons and tutoring (from the West) in being green and environment friendly. “denied special environmental exemptions for China and India since they “are emitting increasingly large quantities of greenhouse gases, which has consequences for the entire global climate”. Psychologist Sam Keen observed famously about the end of the Cold War that “we [Americans] were getting desperate in our search for a new enemy … and the shift of emphasis to China and India as the new “hit me” toys in Washington is a surface-level manifestation of the realization in American strategic circles that the new competitors … come from Asia.” (ellipsis mine). One Western ‘artist’, Damien Hirst, makes art from killing butterflies, cows – and other such animals. What kind of art is this? Two Czech scientists were arrested in Darjeeling recently – accused by the Indian authorities, of smuggling butterflies. The Czechs claim they were scientists. Indian authorities claim that the hundreds of samples that they were collecting are part of an illegal trade ring. The role of traditional Chinese Medicine in extinction of wildlife is well known. The Chinese think that civet cats have to be eaten (till they are available), tigers flesh and bones can cure them of impotency (and what will they do after tigers are extinct?). Of course, Rhino horn and the bile juice of wild bears are essential! What will the Chinese do after these animals become extinct in the next few decades? Japanese resistance to a ban on whaling is symptomatic of a similar insensitivity to other forms of life. As Britain (and the West) was forced out of various colonies, left behind was the garbage of colonialism. This post-colonial debris has become the ballast, that is dragging down many newly de-colonized countries. The Cyprus problem between Turkey, Greece and the Cypriots has been simmering for nearly 100 years. The role of the Anglo Saxon Bloc, in Indonesia, the overthrow of Sukarno, installation of Suharto and finally the secession of East Timor is another excellent example. The many issues in the West Asia and Africa are living testimony to the British gift to the modern world. The entire Arab-Israeli-Palestinian conflict is a creation of the Anglo-French-American axis. This India Pakistan Cricketing relationship is very healthy – and has been managed by four people. Of course, there has been no case study, or a book or even a news report on this partnership. So some of this is my perception based on media interaction. The four people in this complex relationship have been Jagmohan Dalmiya and Shahriyar Khan at the administration level. Between these two, they have managed a consensus between the Asian cricketing countries and South Africa. 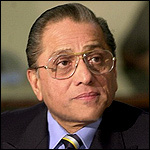 Jagmohan Dalmiya has a business background – and a career in cricket administration. Shahriyar Khan is a career diplomat and also a cricket administrator. Now, if these four can overcome the complex political situation and the minefield of history, is there a learning for others? Especially, for those who manage the India-Pakistan political relationship. Hidden in this cricketing relationship, is the solution to the sub-continental peace. “I S Bindra … suggested that India is capable of hosting the 2011 World Cup on its own … (they) have sacrificed the much-used paradigm of subcontinental unity, which has seen India and its neighbours dominate international cricket politics for almost a decade.” It furthers links how ” it is inevitable that the West, rocked by the Stanford disaster recently, will try and regain composure and mount a counter-attack. Statements like English players may not be released for the IPL by the English Cricket Board and Tim May’s urging that a thorough security assessment is necessary to convince international cricketers to consider playing in IPL are evidence that such an offensive has already begun.”(ellipsis and bold text mine). It is time that the Indian Foreign Service establishment took this learning – and start running. Come June 2009, Shahriyar Khan (mentioned and pictured above) alongwith Shashi Tharoor came out with a book on Sub-continental cricket. Indian media, since it was not led by the nose, have this book cursory coverage. Shashi Tharoor and Shahryar Khan in Shadows Across the Playing Field tries to provide answers by analysing 60 years of this intense cricketing rivalry, one, which has, on occasions superseded the intensity of the Ashes. (via something to hope for, and look forward to).